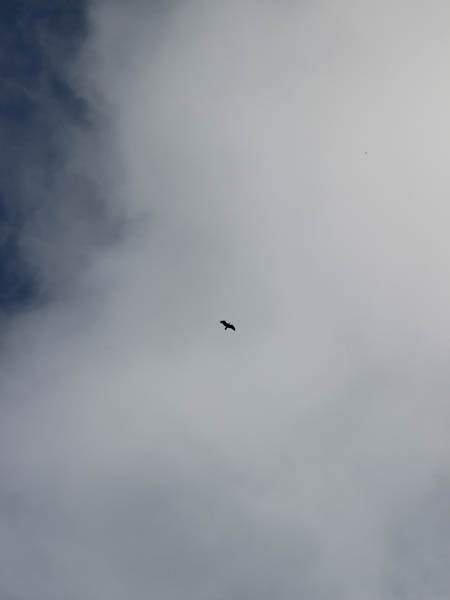 I was on the way back to my car after a long morning hike when I noticed an unusual looking bird flying high in the sky. 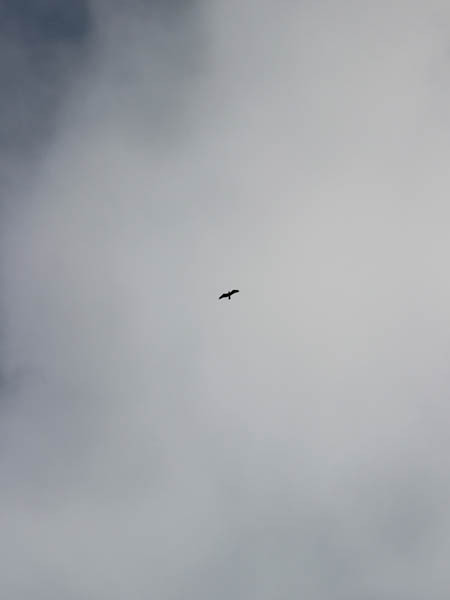 I wasn’t quite sure what it was about this raptor that struck me as different, but I could tell that it was not one of the birds I would typically expect to see soaring at this altitude. 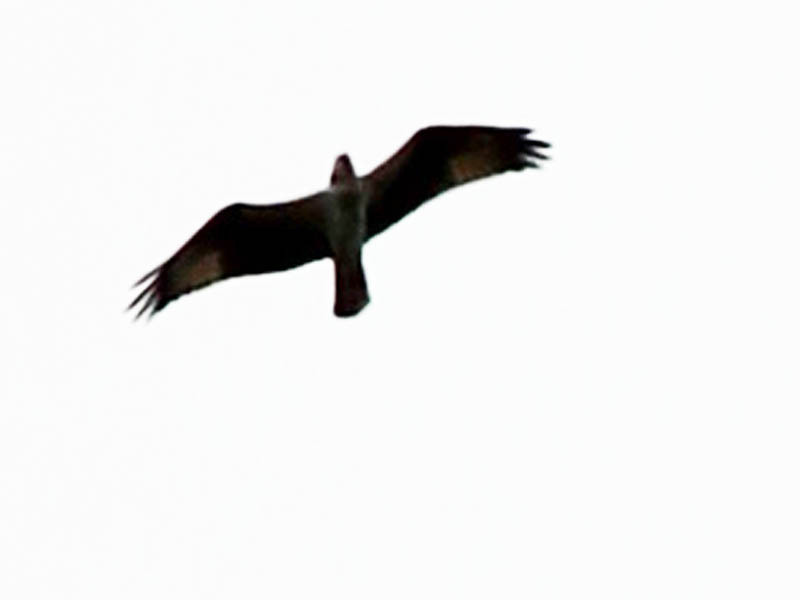 It was not a Black Vulture or a Turkey Vulture. 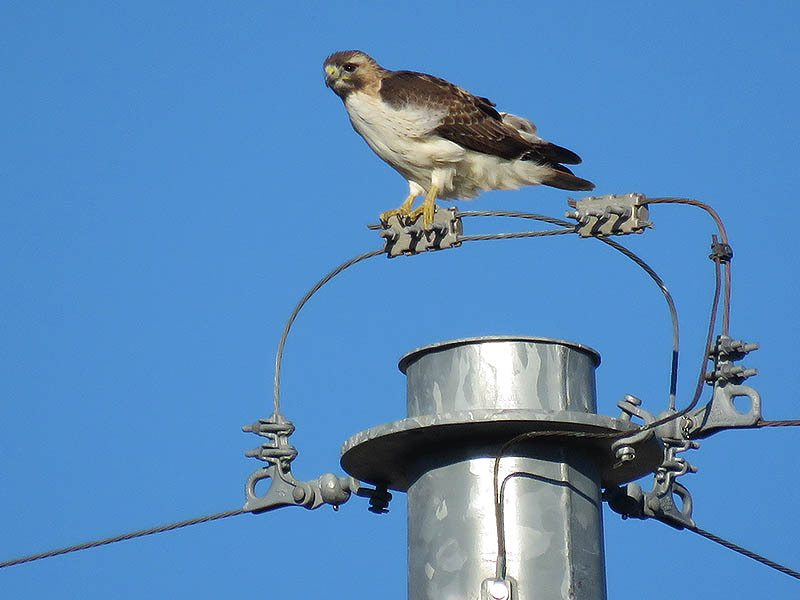 It was not a Red-tailed Hawk. In cases like these I will often take a couple of pictures with the hopes that I pull out enough detail to make a positive identification by processing the photograph in Adobe Photoshop. These first two pictures are good representations of how the bird looked to me when I photographed it. At home, I first tried to simply enlarge the photographs in order to have a better look. Though I was amazed at how well the enlargement held up, the picture was still too dark to make out any significant detail. The nest step was to lighten the photograph. I accomplished this by adjusting the brightness control in Photoshop. This helped significantly as you can see in the inset below. Even some additional enlargement was useful after this step. 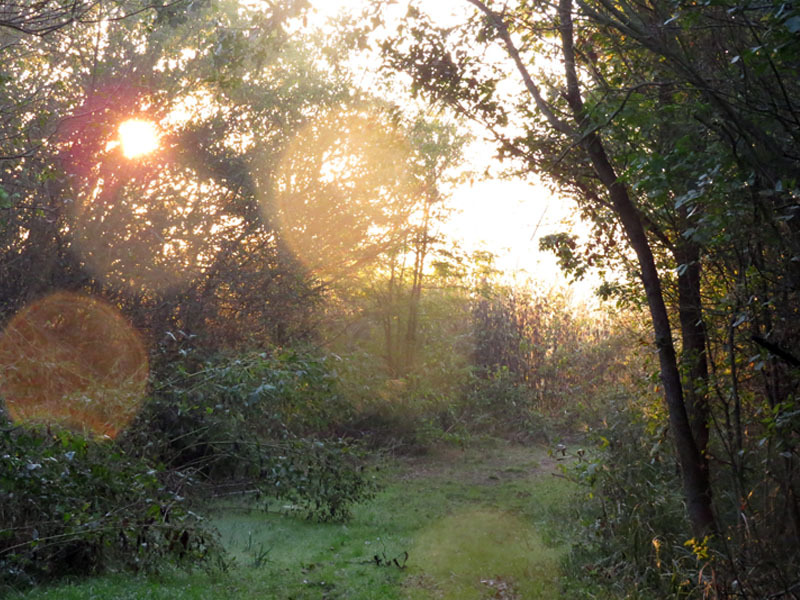 The second photograph I processed revealed even more detail. Still, only so much could be expected from these techniques. 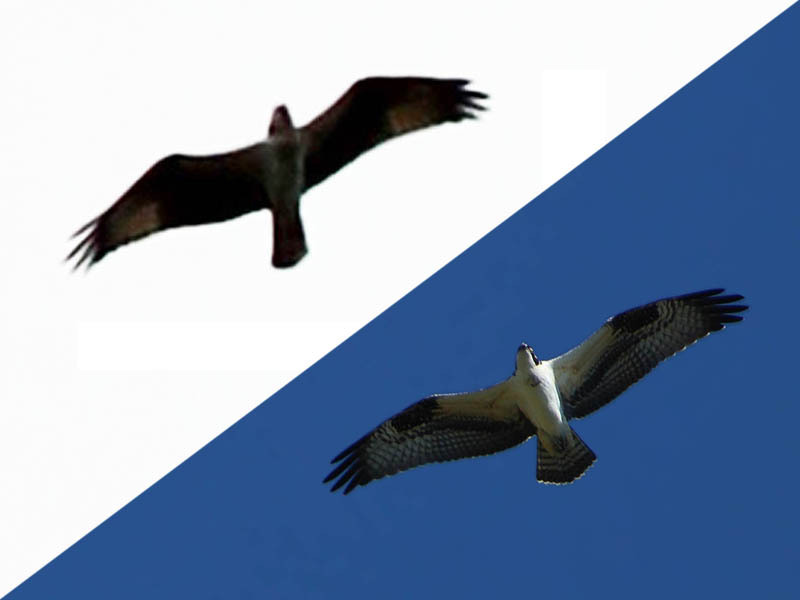 When I looked at the adjusted picture what I believed I was seeing was a white bodied raptor with a dark patch on its breast and large white patches near the ends of each solidly colored wing. 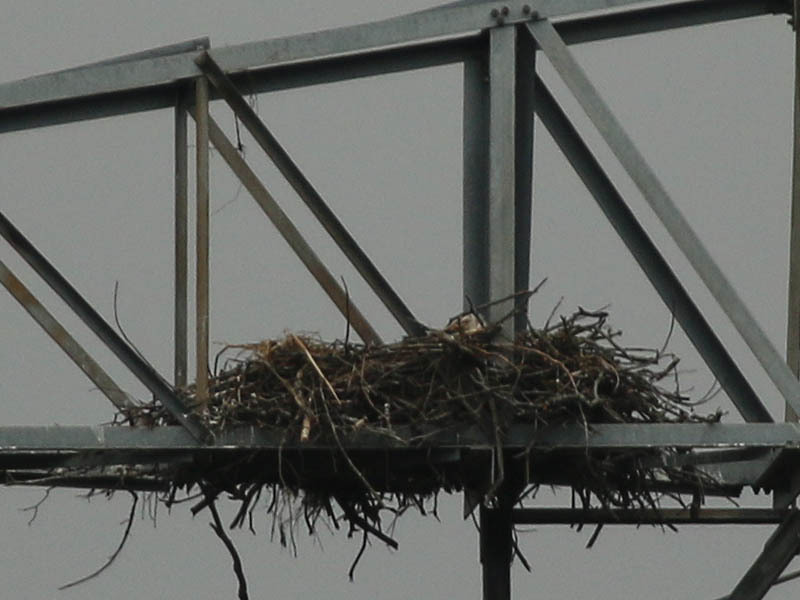 Many birding books include pictures of raptors from this perspective for the very purpose of identifying high flying birds. But a quick once over of my reference materials revealed no likely candidates. It took a little imagination to finally see the bird for what it was. 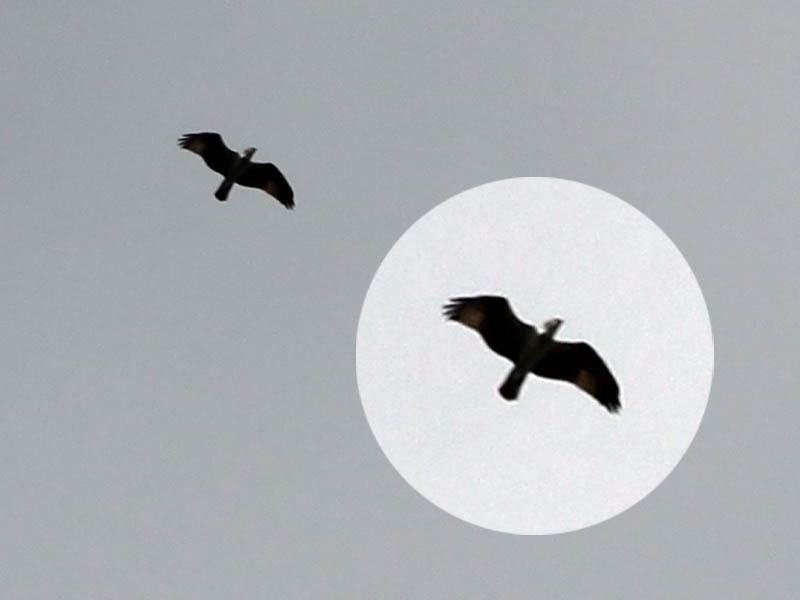 I had to picture striped plumage as solid darks in order to realize this bird was likely a high flying Osprey. The picture below was taken on a different occasion. 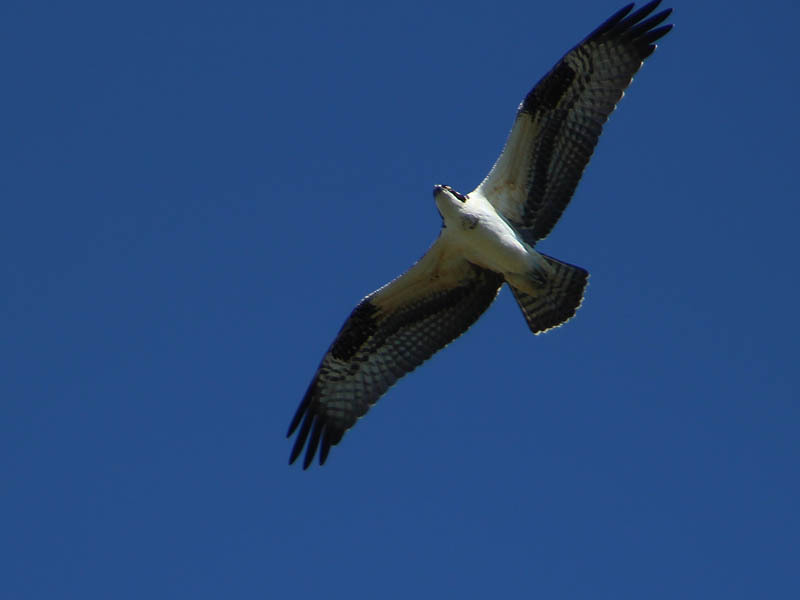 It is of an Osprey which was flying at a much lower altitude and under much better lighting conditions. 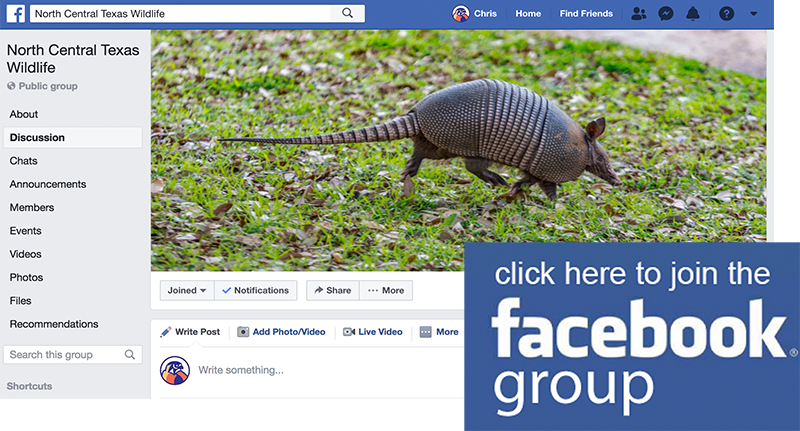 The last photograph in this post shows the two birds side by side so you can make your own judgements!